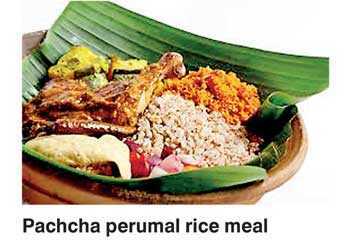 In an effort to meet the growing demand for Akshata Non-GMO Rice tagged the ‘Healthiest Rice in the World’, a special zone of 550 acres of paddy land was exclusively demarcated for the growing of Akshata Non-GMO Rice varieties also known as Traditional Rice in Sri Lanka. This historic event was graced by Minister of Agriculture Mahinda Amaraweera and Deputy Minister of Agriculture Angajan Ramamanthan in the presence of over 400 farmers known as ‘Akshata Green Force Cluster 4’. Grains ‘n’ Green Ltd. Managing Director Roshan Perera states, “There is great potential in both the established and new markets for increased export growth of Akshata Non-GMO Rice. Just as Sri Lanka is famed for Pure Ceylon Tea, Akshata has positioned itself in the global arena as Pure Sri Lankan Non-GMO Rice. The uniqueness of our rice varieties is that it has more anti-oxidants than green tea and as it has a Low GI Index. Akshata Rice commands a premium price directly benefiting the farmers, with our policy of providing seeds and all other inputs free to the farmer. The end result is a happy farmer producing a quality product benefitting a health conscious consumer. He added, “The new zone is a welcome addition to the clusters spread throughout the country which helps Akshata reach its goal of 5,000 acres by 2020,” and thanked the Minister for the confidence placed in the company. 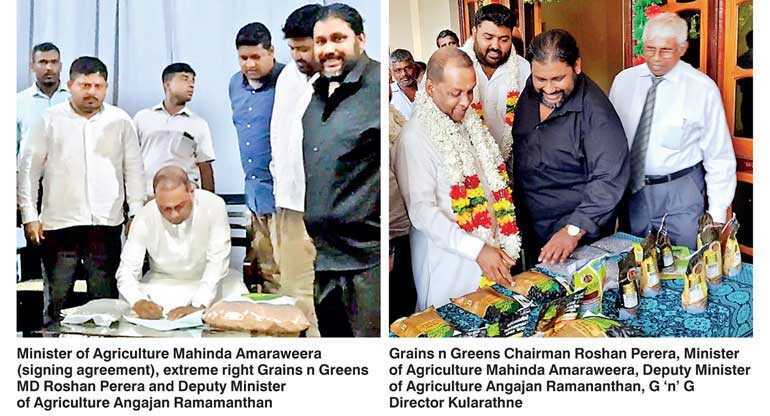 Grains ‘n’ Green Ltd., a company headed by illustrious businessman Roshan Perera ventured into agriculture as a result of the scientific studies conducted on the medicinal and functional properties of certain Sri Lankan rice varieties consumed for over 2000 years. The growing demand for this product has spearheaded the rapid expansion which had to go through the process of harnessing and incubating the precious seeds. The brand is now the leader in supermarket sales island-wide and is available in packs of 800 grams and 300 grams.